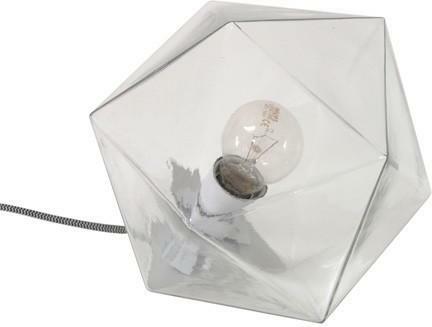 Armed with this Geometric Table lamp, you can add a fantastic statement inside your home. This table lamp is created with a designer flair and features an irregular shaped polygon with a lightbulb fitting inside. When turned on, the bulb beautifully glows and creates a warm atmosphere inside the room. You can use this inside your studio, craft area, living room or even your bedroom. Place it on your console table or inside your dining area to create the best mood lighting possible. You'll love how this goes with almost any modern or contemporary furniture.